Gardening and allergy seasons are ushered in by spring and summer. However, devoted gardeners aren’t forced to choose between their pastime and allergy relief. Understanding how plants can contribute to allergy symptoms can help gardeners come up with strategies for having a well-tended garden while minimising allergy symptoms. Pollen levels vary according to weather conditions and time of day. Pollen levels often rise in the mornings and then decrease in the evenings. Pollen is also typically more prevalent on warmer and windier days and decreased on cool, moist days. Rain generally washes the pollen off plants and dampen pollen, making it is less likely to be transported by the wind. While extended yet gentle rain decreases pollen levels, short thunderstorms can increase pollen levels by dispersing pollen into the air. You should consider planning gardening activities for times when pollen levels will be the lowest. Allergy friendly plants can also trigger allergy symptoms with adequate exposure. Plants should be placed in locations where their beauty can be appreciated, but where you won’t be constantly attacked by pollen from the plants. Avoid placement of plants close to doors and windows. Consider having cut flowers, perhaps from a florist, since most flowers coming from florists are usually cultivated to be pollen-free. When garden flowers are brought indoors, pollen production often accelerates rapidly in dry, warm spaces. Branches of hedges often accumulate pollen, mould and dust. If there are any hedges, prune and trim them to minimise exposure to allergens. When working outside, protective clothing is important: a face mask, hat, protective glasses, gloves and a long-sleeved shirt to decrease pollen exposure. Avoid touching facial areas while working outdoors. 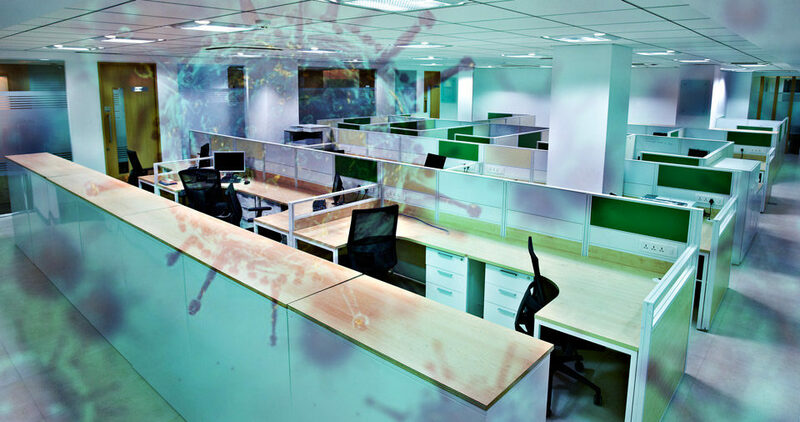 And, ensure that the removal of clothes is accommodated and shower or bathe immediately after entering your home or office to stop any external allergens from being spread throughout your home or office space. Grass should be kept low-cut, and shrubs and hedges are trimmed to reduce the amount of pollen that is carried in the air. Avoid traditional straw and wood-chip ground covers because they often hold moisture which promotes the growth of moulds. Instead, use plastic plant and ground covers, as they are less likely to retain additional moisture. There is no way to absolutely eradicate allergens in the garden. But with a little planning, allergy sufferers can enjoy their garden with marginal allergy symptoms. But seeing as there are gardens, not only at home but in places such as shopping centres, office parks, etc., these strategies apply to commercial garden services as well. And this is something that Dynamic Cleaning Services has taken into consideration. Though Dynamic Cleaning Services has made a name for itself as professional commercial cleaning specialists, they also provide professional lawn and garden maintenance services, known as Dynamic Garden Services. 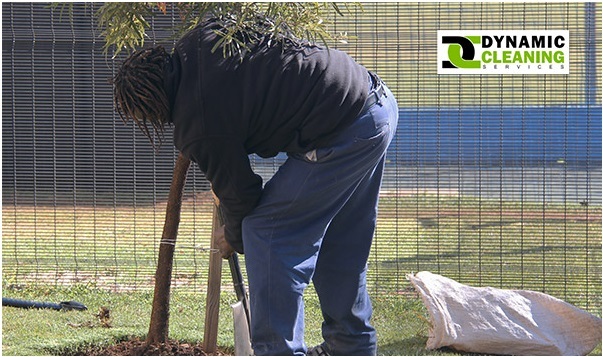 Dynamic Garden Services offer a comprehensive inspection of each and every type job site to determine a timetable that will keep outdoor spaces as tidy and as safe as possible, accommodating the existence of allergy sufferers, and attempting to prevent them from suffering while at the workplace or at the shopping centre.